There is so much magic in celebrating and bringing people together to party. The VISION was all about creating a beautiful space where the lighting and textures set the scene for a woodland wonderland. The venue was absolutely perfect for the vision. 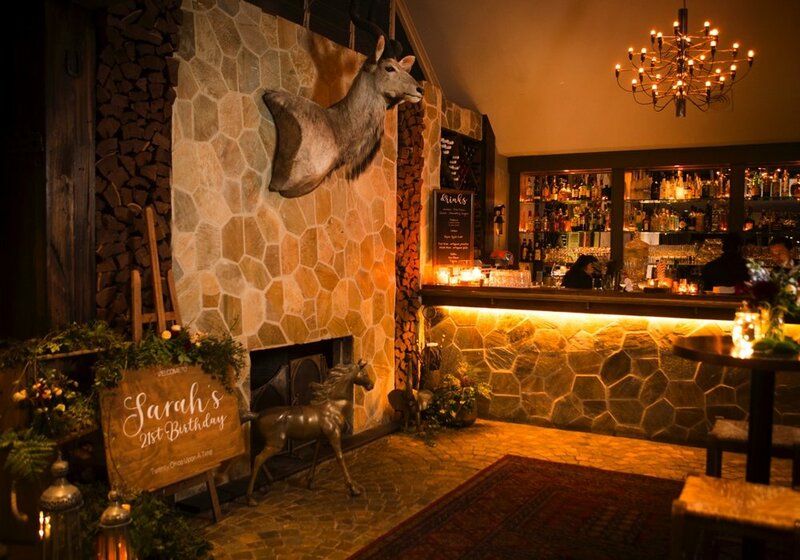 Cavallino at Terrey Hills with its sandstone, persian rugs, fire places and animal heads it created the warmth that was perfect for a winters night. 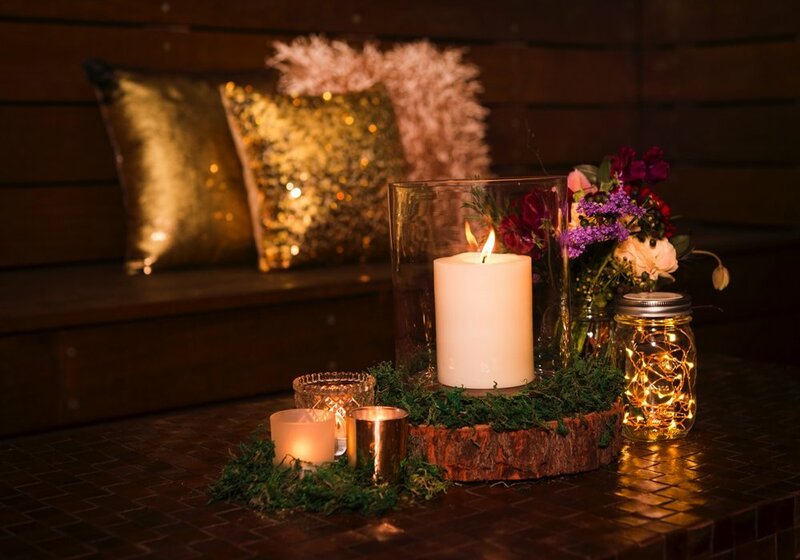 The style was all about creating that magic woodland mood and it was done so with fairy lights, candles and mason jars with copper lights. The main colours were brown, gold and moss green with elements of wood, leather, linen and sequins. The welcome sign was beautifully decorated with trailing vine and florals with wooden rustic crates and trailing foliage with tea-lights and moroccan lanterns. Delicious boards of antipasto were served followed by pizzas. 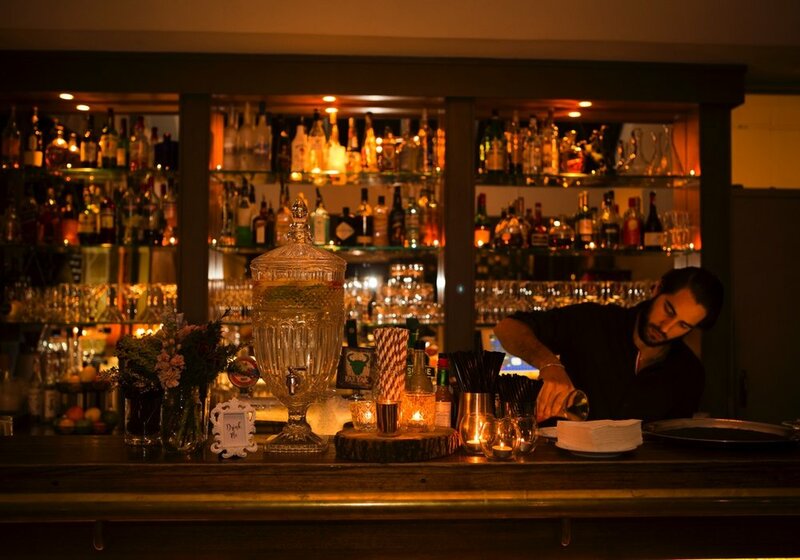 The drinks list was impressive with a welcome cocktail "the Pixie", cosmopolitain slushie, prosecco, bilpin apple cider, Italian wines and mulled wine with cinnamon.! 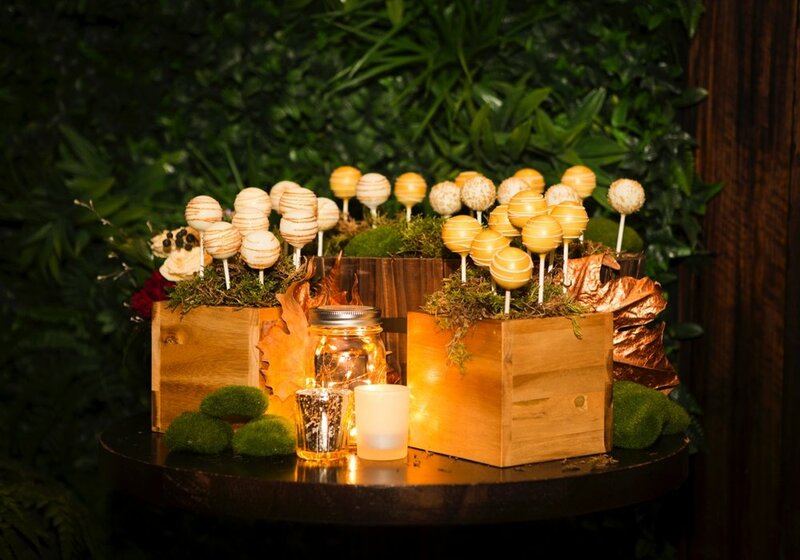 The cake pops were styled in wooden boxes with real and faux moss and behind it a green wall. The cake was an incredible artwork from the talended team at UnBirthday. 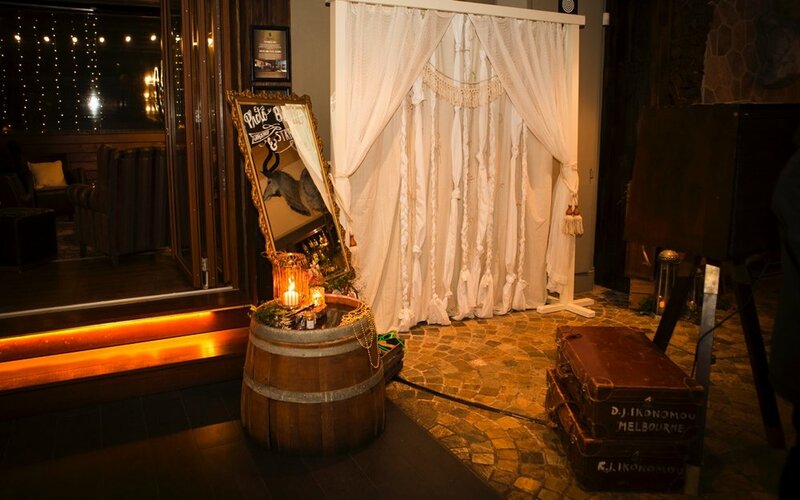 The photo booth backdrop was a touch of boho and the gold frame was hand written to read "photo booth; grab a prop and strike a pose". The beautiful fabric backdrop was handmade by the birthday girl (she is seriously talented) and it looked beautiful.! Guests danced the night away to the tunes played by the DJ. 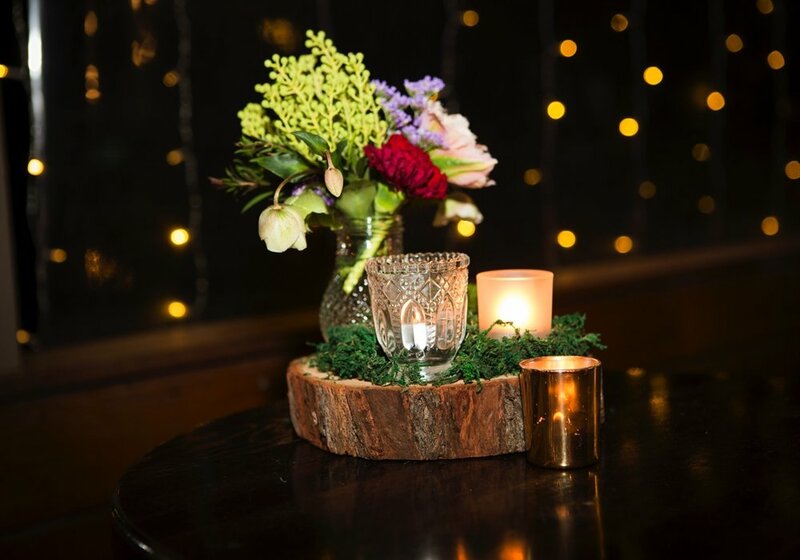 Fresh flowers in pineapple vases and mason jars were placed onto cut wooden logs amongst various tea-lights and moss. 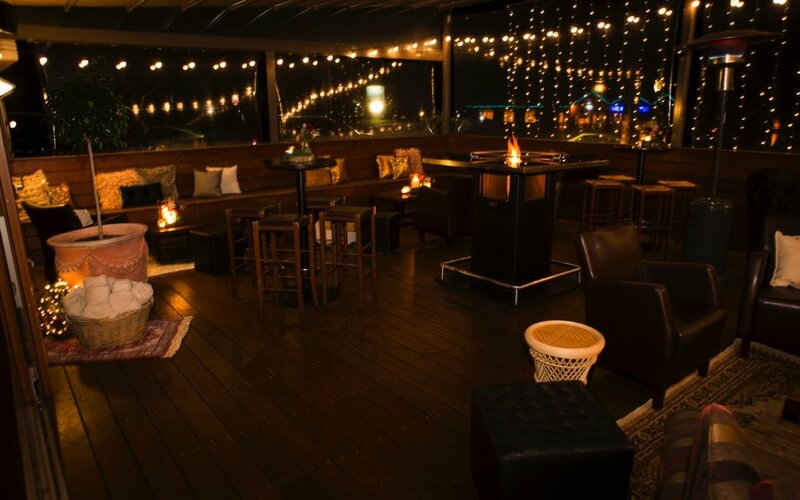 Transforming a space that takes guests back in time to a 1970s DISCO. !